★ Turks will go to the polls this Sunday to choose their mayors and municipal councilors. Analysts are predicting losses to President Recep Tayyip Erdoğan's ruling Justice and Development Party. The economy has been doing poorly and some Turks are blaming it on President Erdoğan. With all the money of the government in his hands, Mr. Erdoğan was still able to convince quite a few voters to vote for the Justice and Development party. Analysts also say that Mr. Erdoğan may be able to pull a few hat tricks at the last moment. Mr. Erdoğan is in collaboration with a right-wing party. The rest of the opposition have banded together and are coordinating the fielding of candidates so as to not to divide the opposition votes. ★ In related news, an article that appeared in the Politico, says that president Erdoğan has cast Sunday's vote a matter of "survival" for the nation. He has been telling the Turks in election rallies that the nation is in threat and only he can protect it from the chaos lurking nearby. To get the nationalist and religious votes, he also promised to revert Istanbul's Hagia Sophia to a mosque from its current status as a museum. Mr. Erdoğan also sees the elections for mayors as a referendum on his authoritarian style of rule. ★ According to the Washington Post, a Turkish court on Thursday ordered the continued detention of Metin Topuz, an employee of the U.S. Consulate in Istanbul whose imprisonment for nearly 18 months has infuriated the Trump administration and highlighted the rapidly deteriorating relationship between Turkey and the U.S.
Topuz is being charged with espionage and aiding the failed coup against the ruling party administration in 2016. The U.S. officials have been criticizing the conditions of his detention--he's being held in solitary confinement--and dismiss the accusations against him. Analysts say that Mr. Erdoğan's administration detains people like Topuz and hold them as bargaining chips in negotiations on other issues with the U.S.
One such person that Mr. Erdoğan's administration had tried to hold was a U.S. priest, which finally they had to let go when the U.S. government put economic pressure on Turkey. ★ At least four Kurdish activists ended their lives this month in different Turkish prisons. They were protesting the jail conditions of rebel leader Abdullah Öcalan, newswires report. Öcalan has been in jail since 1999 after his capture in Nairobi by Turkey's National Intelligence Agency. He was one of the founders and the leader of the rebel Kurdistan Workers Party. He is now in solitary confinement on a prison island off the coast of Istanbul. ★ British journalist Steve Sweeney of the Morning Star paper was expelled from Turkey on Friday, reports the Turkish daily Cumhuriyet. He arrived to cover the local elections. He said afterward that he is trying to raise his voice against the Erdoğan regime's human rights violations. 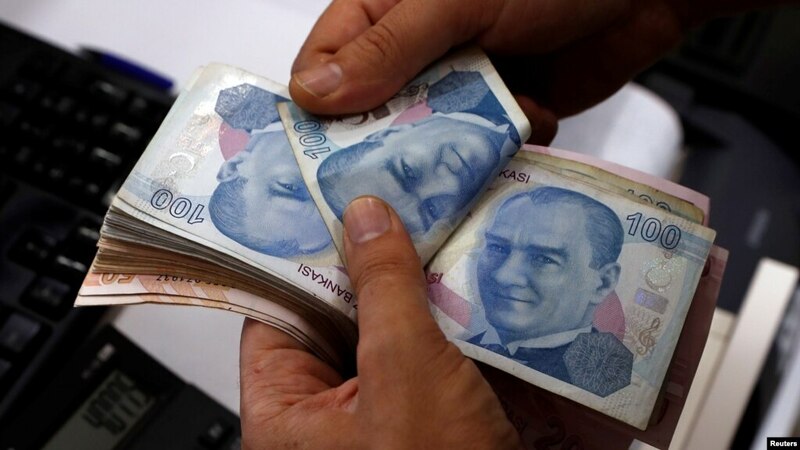 ★ Turkey's central bank on Monday vowed to use all the tools at its disposal to "maintain price stability" after a slide in the lira last week amid investor concerns over domestic monetary policy, reports Agence France-Presse. The Banking Regulation and Supervision Agency and the Capital Markets Board on Saturday said they launched probes into JP Morgan over a report by the investment bank's analysts which apparently recommended shorting the lira on Friday. ★ According to the daily Cumhuriyet reporter Emre Deveci, a Turkish child born in 2002 owed $1963 in foreign debt. He says a child born in 2018 now owes down $5513. The ratio of foreign debt to GDP has risen to 56.7% and broke a record. Emre Deveci also says that the growth in the Turkish economy has come to a halt with the decline in domestic consumption and the demise of the construction industry. Blaming the ruling Justice and Development Party administration policies on the economy, Emre Deveci writes that the ruling party has condemned Turks to lines to purchase onions at a discount. By this, he was referring to the latest discount stores opened by the government that sells produce at low cost, in fact, in most cases below cost. 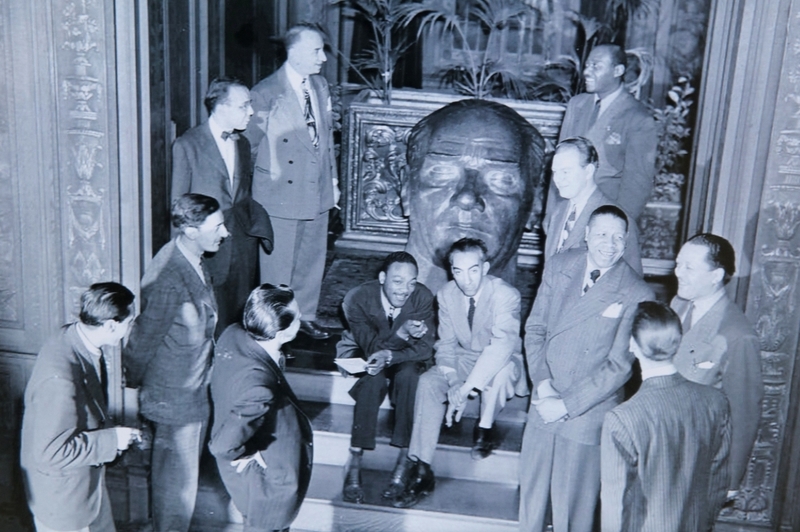 Jazz musicians enjoy each other's company on the stairs of the Turkish embassy in 1940 next to the large wooden head of Mustafa Kemal Atatürk, the founder of the Republic of Turkey. ★ The Public Radio International Journalist Mikaela Lefrak had a story on how the Turkish Embassy in the 1940s helped desegregate Washington DC jazz. Turkish Ambassador Mehmet Ertegün had two teenage sons, Ahmet Ertegün and Nesuhi Ertegün , who loved jazz. When their father was appointed to Washington as ambassador, they accompanied him there. The two teenagers started frequenting the clubs in the DC area but noticed that music venues were completely segregated. The teenagers found this rather ridiculous, so they began inviting the musicians they admired over to the embassy to jam and eat lunch--regardless of their race. The Ertegün neighbors, including one congressman from the South, complained about seeing black guests enter through the embassy's front door. But Ambassador Mehmet Ertegün stood up for his sons and the musicians. The Ertegün brothers went on to organize the city's first integrated concert in 1942. They held it at the Jewish Community Center on 16th Street. Ahmet Ertegün went on to found Atlantic Records in 1947, and his brother joined a few years later. They produced records for greats like John Coltrane, Thelonious Monk, Ray Charles and Aretha Franklin (not to mention Led Zeppelin and Cream). ★ Focus on Travel News, Turkey's first English edition travel news website, reports that TripAdvisor© announced the winners of its Travelers' Choice© awards for Destinations, recognizing the locations that are the most popular among TripAdvisor reviewers. Istanbul ranked the eighth best destination for travelers in the world for 2019. Award winners were determined using an algorithm based on reviews and ratings for hotels, restaurants and experiences in destinations worldwide over a 12-month period from among over 156,000 destinations. ★ Turkey's Culture and Tourism Ministry reported that 1.9 million tourists visited Istanbul during the January-February period. German citizens with 126,000 were up at the top in first place with a 10% increase compared to the same period last year. In the second place were citizens of Iran with 124,000 visitors down 23% compared to last year. Third-place went to the citizens of the Russian Federation with 99,000. The U.S. citizens were in the 10th Pl. with 46,000 up 36% compared to last year. ★ Galataport Istanbul is to showcase the features of its new cruise port and the surrounding recreational area at Seatrade Cruise Global, which will take place in Miami, Florida from 8-11 April 2019. The port is designed to accommodate three ships at the same time and handle an average of 15,000 cruise passengers per day. The port will have an underground cruise terminal for domestic and international tourists – a first for the cruise industry. There will also be an underground car park with capacity for around 2,300 vehicles, which will help to solve the current parking issues in Istanbul. Designed as the "new landmark of the Bosphorus shore", Galataport Istanbul Cruise Port will be part of a wider recreational area on the waterfront. Public spaces will be available for open-air exhibitions, art installations, and other various cultural and social activities for cruise passengers, crew, other tourists and locals. Galataport also houses the İstanbul Modern Museum and the Painting and Sculpture Museum of Mimar Sinan Fine Arts University. ★ The Boğaziçi Jazz Chorus of Istanbul was on tour for 10 days in Europe. The chorus had concerts and Sophia, Novi Sad, Zrenjanin, Budapest, Vienna, Graz, Maribor, and Koper. In Vienna, they were the guests of Musikverein Graz, one of Austria's prominent music organizations, and maestro Franz M. Herzog for the seventh Festkonzert. 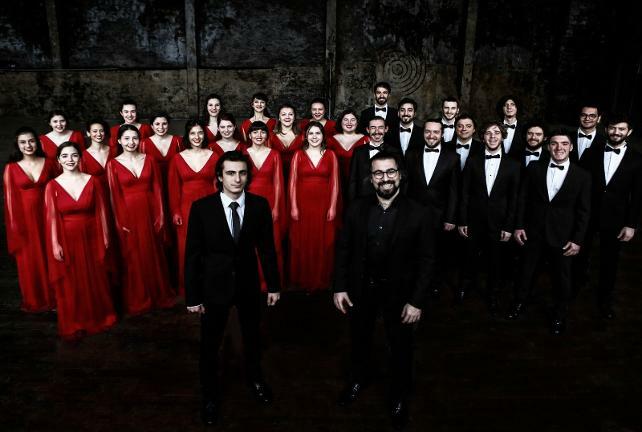 In their concerts, the chorus had compositions of Turkey's composers Muammer Sun, Ulvi Cemal Erkin, Cenan Akın, Erdal Tuğcular, and Hasan Uçarsu, and also Ravel, Gjeilo, Morales-Matos, Linkola, Rathbone, and Hogan. They also added surprise local songs depending on which city they were in. 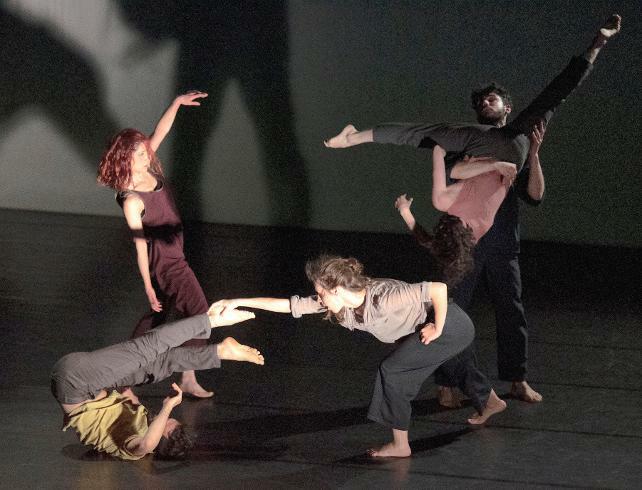 ★ In Akbank Sanat during the "Dance Shows" program in March, "Vortex" dance performance will be on. 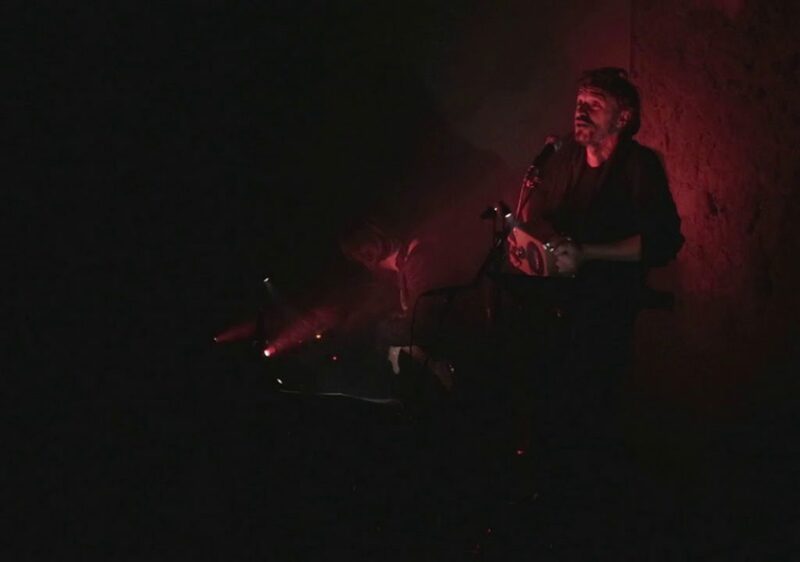 The performance is inspired by Architect and photographer Ömer Kanıpak's 2015 video installation "Massive Ghosts" that took place in Belgium's Antwerp's City Talk Exhibitions at the Mas Museum. ★ Akbank Sanat also organized a commemoration for a master of the Polish film, Andrzej Wajda. The event for Wajda, who lived between 1926 and 2016, took place at Poland's Consulate in Istanbul. Innocent Sorcerers, Ashes and Diamonds, Man of Marble, Kanal, Man of Iron and The Promised Land. 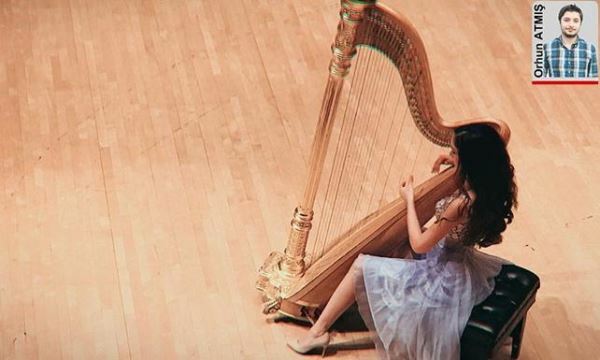 ★ After studying at the Ankara State Conservatory for 10 years, The Jacobs Music of School in the U.S. admitted Turkish harpist Beste Toparlak as an Exceptional Talent. Jacobs School of Music admits only three students a year under the Exceptional Talent category. ★ The Israeli film director Elite Zexer is in Istanbul for the Akbank Short Film Festival.. In an interview with the Turkish daily Cumhuriyet, the director said that "I have been honored by the struggle of the Bedouin women, and I always try to bring their stories to the world as authentically as possible."" The Akbank Festival showed some of her films: Sand Storm, which won an award at the Sundance Film Festival and 16 other awards elsewhere; and two of her short films..
She also held a talk and shared her experiences with the film enthusiasts..
★ Istanbul's TangoNEVA group were on stage on the Asian side of the city in Kadıköy. The Argentinian bandoneon maestro Leandro Medario accompanied the group. The group performed to the music of Piazzolla, and Turkish tango composers in six different languages. ★ On Wednesday, March 27, in Istanbul's French Cultural Center, French actor Julien Allouf read the poems of Turkeys renowned poet Nazim Hikmet. The Hungarian musician Csaba Palotai accompanied Allouf with his guitar. The actor says that he discovered Nazim Hikmet's poetry "A Strange Travel" and the poet himself while working on the prose-poetic essay on the Siberian express by Swiss-born French novelist Blaise Cendrars. ★ İşbank Museum of Istanbul has a new exhibition titled Independence. 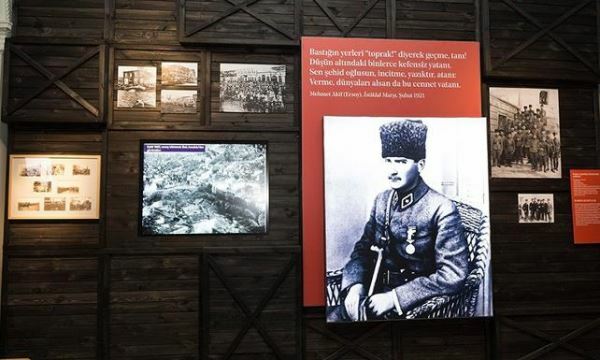 The exhibition has about 1000 photographs, documents, films, and objects on Turkey's Independence War. This year is the 100th anniversary of the start of the independence struggle of Turkey. On May 19, 1999, Mustafa Kemal landed in the black sea city of Samsun after traveling from Istanbul, the capital of the Ottoman Empire under occupation, on a rickety boat. He started organizing the Turks to resist the occupation of their homeland. In Istanbul's Maltepe, the municipality of the city organized a Theater Festival, which started with a play "Open Family". The play is by Nobel laureate actor and writer Dario Fo and Franca Rame. Another city in the Istanbul province, Bakırköy, had a free play for the residents of the city. Istanbul State Opera and Ballet also joined the celebrations with Alexandre Dumas' Three Musketeers on March 28 at Zorlu PSM. The performance started with the reading of a letter for the World Theater Day, penned by Cuban artist Carlos Celdran, expressing the sentiments of the stage artists. Verdi's music arranged by Bujoe Hoinic, the permanent conductor of the Ankara State Opera and Ballet, accompanied the performance. 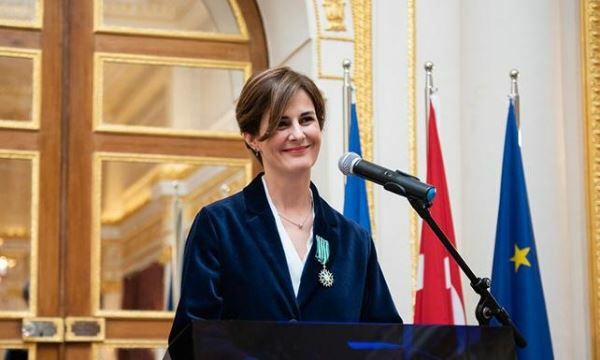 ★ The general director of the Istanbul Culture Arts Foundation Yeşim Gürer Oymak received the French culture ministry's "Night of the Order of Arts and Letters" award. The French ambassador to Turkey Charles Fries spoke at a ceremony at the French Palace and emphasized the role Oymak played in the cooperation of Turkey and France in the music and art realm and introducing classical music to the larger audiences. ★ Turkey's Black Sea city of Samsun's State Opera and Ballet staged Gaetano Donizetti's on Pasquale comic opera Saturday. 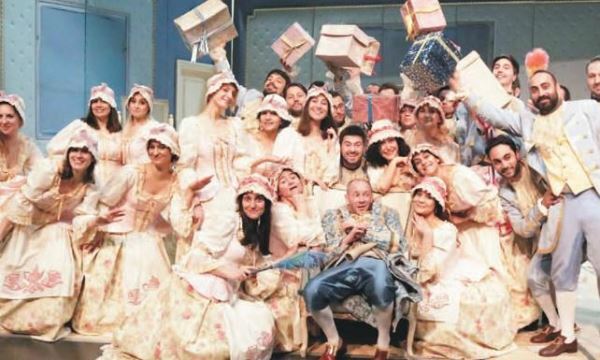 The opera has a special place in Turkey's opera history. It was the first opera staged on Istanbul's Asiatic side two centuries ago. No Premiere League games due to national team's UEF a Europe soccer championships qualifiers. In the qualifiers, the Turkish national team beat Moldova 4 - 0 in Turkey's Eskisehir's new stadium. Among the spectators, Turkeys President Recep Tayyip Erdoğan and the Minister of youth and sports were also present. ★ In the international ice hockey Federation U18 championships, Turkey's youth team was beaten 4 to 2 by its Bulgarian opponents. ★ In the 54th European Karate Championships that are taking place in Spain's Guadalajara Turkey's men's Kata and women's and men's Kumite teams rose to the finals. Join us for a fundraising evening with live music, dance, and food. Enjoy Turkish chili and rice "kuru fasulye ve pilav" (included in admission) while listening to Turkish and International music. For more information about the event write to info@turkfestca.org, or call (831) 277-2258. This event is organized by the Turkish American Association of California (TAAC) Monterey Bay Chapter to benefit the 22nd Annual Monterey Turkish Festival (August 3 and 4, 2019).